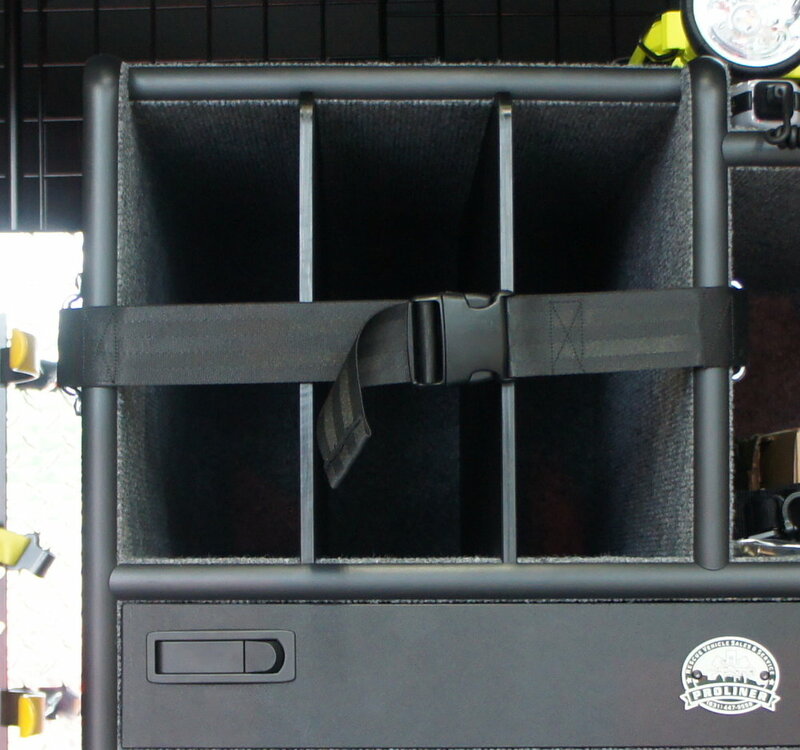 Our sealed command boxes keep your equipment stored in an airtight space. 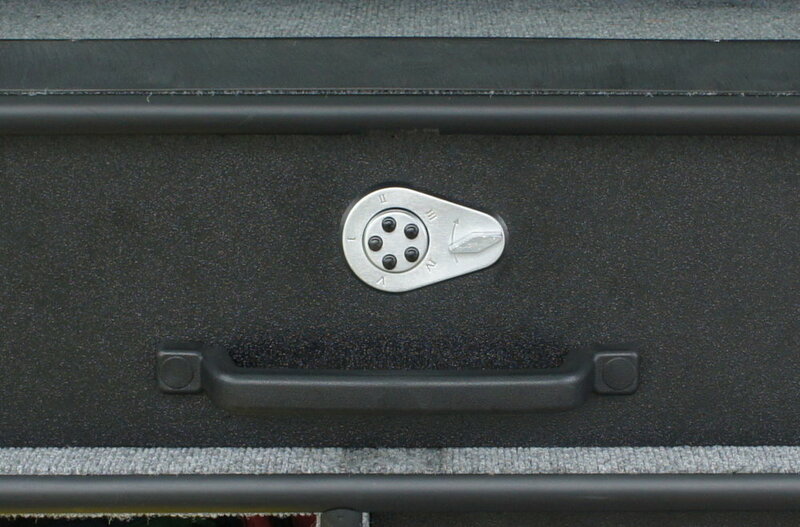 A sealed compartment keeps harmful pollutants from spreading from your gear to your car. A folding white board with lexan cover. For displaying important documents, or writing out plans. 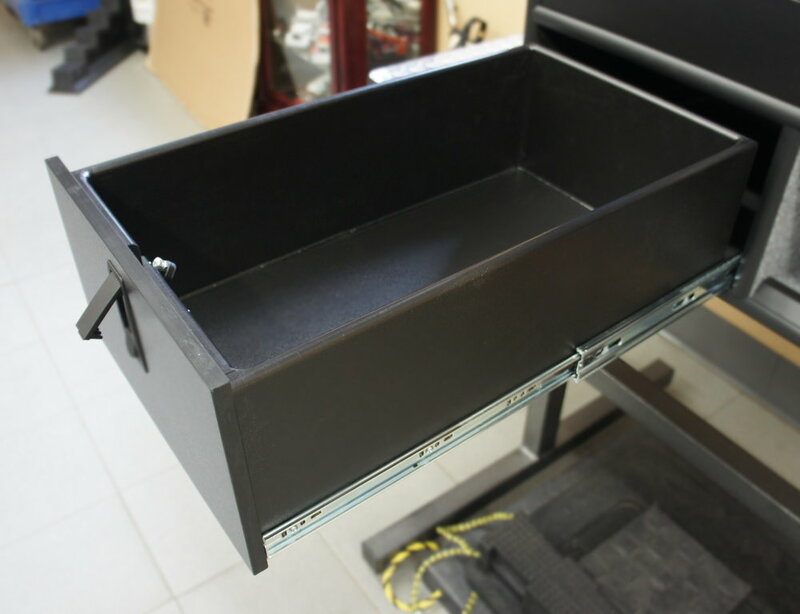 Any compartment can be upgraded to hold a bonded plastic drawer. These drawers are made from welded plastic, and can be fitted with locks. Solid poly stops can be added to the bottom of any compartment. These let you slide equipment in easily, but wont let equipment slide out while driving. Any drawer can have a lock added to it. Locked drawers can be used to store weapons, medications, or just for peace of mind. 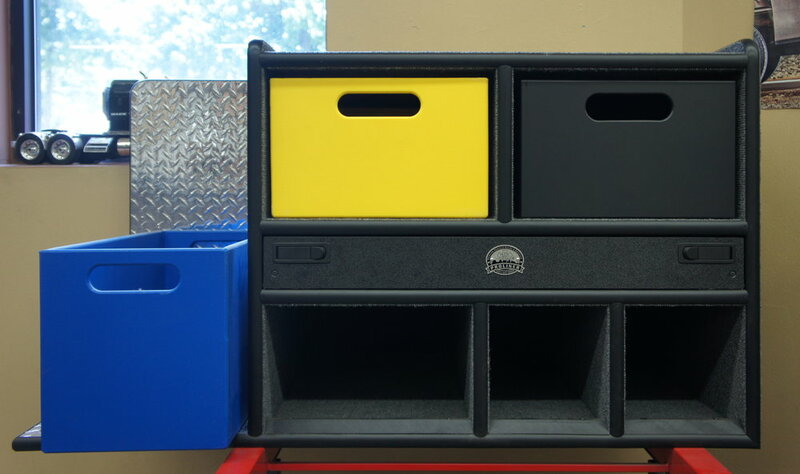 Poly containers may be made to fit any compartment in our command boxes. These go especially well with our poly stops. Adjustable, high strength straps can be added to any compartment. These are useful when you need to store large objects that would otherwise slide out, while allowing easy access. Boxes can be set up to house radios, flashlight chargers, radios chargers, cigarette lighter plugs, and more.